I am pleased to circulate the Group’s outing details to see an exquisite exhibition at the Brunei Gallery, SOAS, Thornhaugh Street, Russell Square, London, WC1H 0XG. Admission is free. Nearest Tube Station Russell Square (Piccadilly Line) on Saturday 11th August. We will meet at Osterley Tube Station at 10.00am or you can join us at the venue at 11.00am. A guided tour has been arranged so please wait for the group. 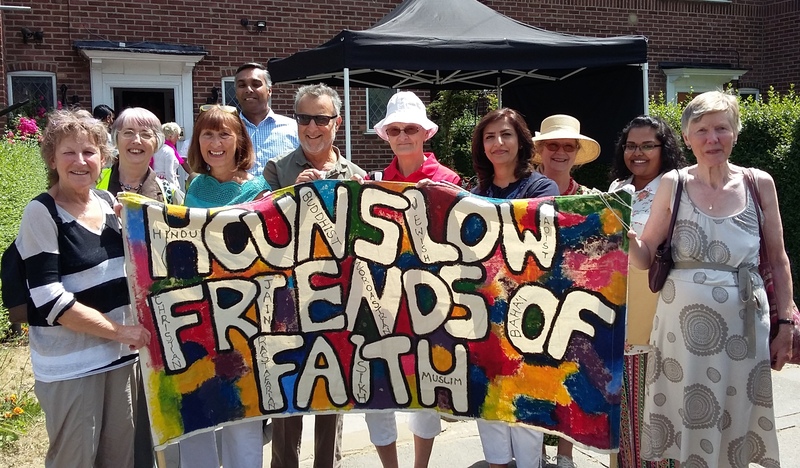 There were smiles and welcome at every venue for the 2018 Walk of Peace and Friendship on 24th June. 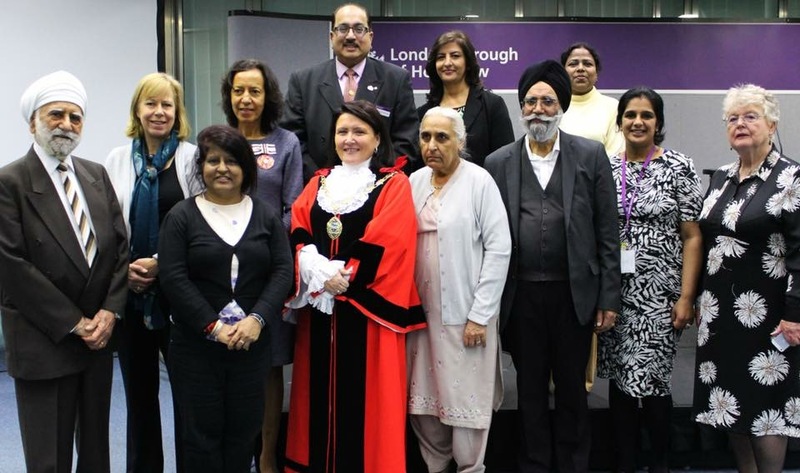 Our annual event took in four places of worship in the Feltham area with, in the words of local MP Seema Malhotra, once again the message of the value of walking in each other’s footsteps and through each other’s doors. 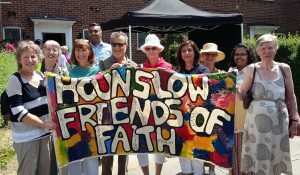 Mayor of Hounslow Councillor Samia Chaudhary also attended and welcomed the work of Hounslow Friends of Faith. The Walk began at the Athula Dassana Buddhist Centre in Hanworth where monk Bhikkhu Assaji explained Buddhist philosophy and practice before the community members provided lunch. After crossing Hanworth Park the second visit was to the Riverside Vineyard Church in Browells Lane where Senior Pastor Andy Chapman explained the work of the church in meeting the needs of the area. He described their newly completed community centre and the Storehouse Project which provides food and equipment to families in difficulties. 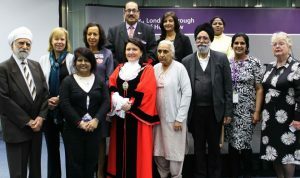 There was a warm welcome at HIRA (the Hounslow Islamic Relief Association). Imam Sheikh Mohammed Sayed gave a short talk on Ramadan before a tour of the centre. He joined us for the final visit to St Lawrence’s Catholic Church on The Green. 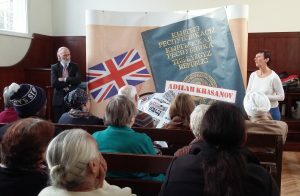 Deacon Colin Macken responded to a range of questions about the church. The wealth of the church he said is its people. Thank you to everyone for an excellent day. And the sun shone!